Flowy swim top can conceal your tummy, looks slim and cute. 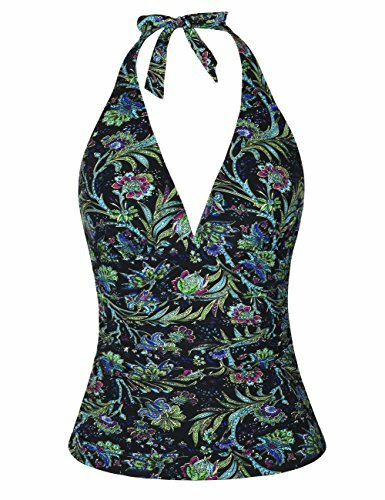 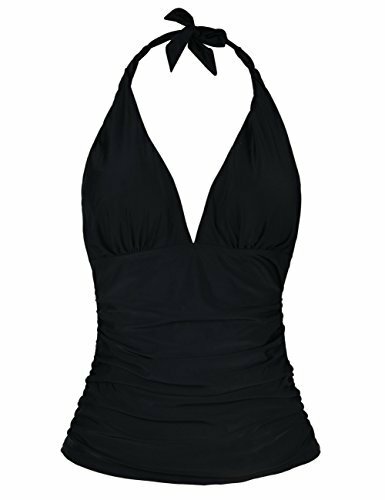 Non Removable padded cups, Convertible adjustable straps Skin-friendly material,comfortable to wear Adjustable halter neck;Halter straps Occasion: resorts/beach/swimming pools/party/holiday/night event. 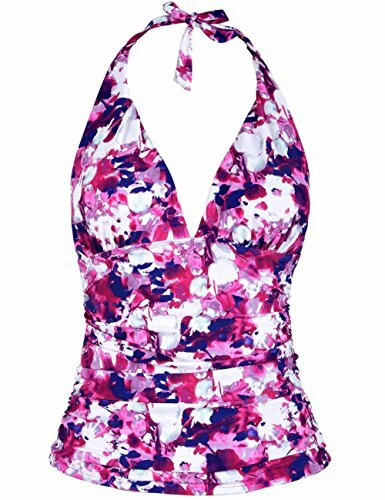 Special design which is amazing and great value summer swimsuit.